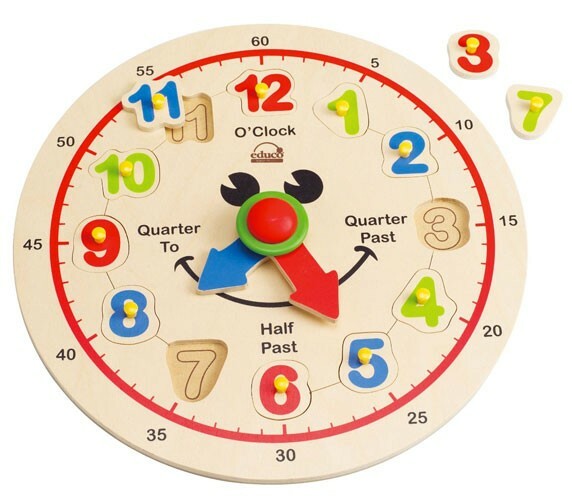 The Happy Hour Clock by Hape will allow kids to use this multi-tasking clock to learn how to tell time by learning about hours and minutes, as well as numbers and colors. 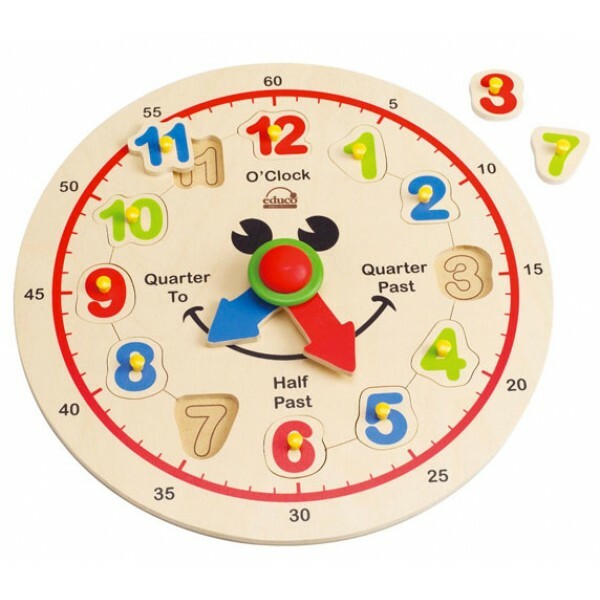 Match the numbers to the proper place on the clock face and learn how to tell time by rotating the clock hands. Puzzles also develop fine motor skills and visual comprehension. This durable wood puzzle has child-safe, non-toxic graphics painted right on the wood.